The Australian Racing Hall of Fame is the industry's highest accolade, with only the greats of Australian thoroughbred racing earning a place in this exclusive club. Be part of the Victorian celebration of the Australian Racing Hall of Fame as we acknowledge the honour roll of inductees as well as those newly selected, along with past Directors of the VRC who have made a significant contribution to both the Club and the thoroughbred industry on this quality raceday. The exciting nine-race program includes a number of winter race series heats, including two Listed races headed by the Andrew Ramsden Stakes over 3200m. Enhance your raceday experience by downloading the ‘Flemington Official Raceday Guide’ mobile app on iPhone or Android. Visit the View to have the opportunity to sample the new Members Bar menu, which features a selection of your favourite bistro food as well as a number of contemporary dishes. Visit the Atrium and indulge in a cocktail including Espresso Martini, Absolut Vanilla Mule, Apple Collins or a classic Gin and Tonic. Redeem Racing Rewards points for food & beverage vouchers. $10 voucher - 100 points | $20 voucher - 200 points | $45 vouchers - 425 points. Call Customer Service on 1300 727 575 to redeem. Take the opportunity to get up close and personal with two Champions of the Turf. 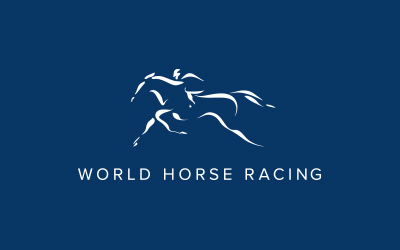 Might & Power and Apache Cat will be located in horse stalls 40 & 41 and parading in the Mounting Yard throughout the day. The VRC is pleased to host three-time Flemington Group 1 winner Redkirk Warrior in an exhibition gallop down the Flemington straight after Race 1 (11:40am). This will be his final public appearance before competing at Royal Ascot. Trains will depart from Southern Cross Station (platform 8) at 10:29am and 10:59am and then every 20 minutes until 12:59pm. All trains stop only at North Melbourne Station (platform 2) and then run express to Flemington Racecourse (platform 1). Trains will depart Flemington Racecourse (platform 1) at 3:48pm and then approximately every 20 minutes until 6:21pm, stopping only at North Melbourne Station (platform 1) and Southern Cross Station (platform 8). Non-racedays: Catch a train to Newmarket station (Craigieburn line) and then either walk (10mins) or take the No. 57 tram to Flemington Drive (stop 30). Racedays: Limited parking available, enter off Epsom Road onto Flemington Drive. Enter off Epsom Road onto Flemington Drive. A taxi rank is located near the Members' Main Entrance (left of Phar Lap statue). Melbourne Cup Carnival: Taxis can only enter the racecourse off Smithfield Road at the Stables Drive entrance or drop off racegoers in Leonard Crescent via Langs Road. Flights depart from Melbourne and land at the helipad/passenger area, at Flemington Racecourse. During Melbourne Cup Carnival, VIP Lexus courtesy vehicles will then transfer from helipad to main entrance. For more information, contact our exclusive helicopter provider, Melbourne Cup Helicopters on 1300 724 927. For all information, contact City River Cruises on (03) 9650 2214. There is no formal dress code for General Admission. Racegoers are encouraged to dress smart for the occasion. VRC Members have a strong tradition of dressing smartly and appropriately, taking into consideration true racing style. We are proud of this history and therefore have strict dress regulations within the Members' Enclosure to maintain this high standard. Gentlemen are required to wear a suit of tailored slacks (tailored chinos acceptable), sports coat or blazer, plus tie and dress shoes. During the period between 1 December and 31 March jackets may be removed. Overseas visitors are welcome to wear the formal national dress of their country. Ladies are expected to maintain a suitable standard in keeping with the dignity of the Members’ Enclosure. Younger children accompanied by an adult must be suitably attired. Overseas visitors are welcome to wear the formal national dress of their country. 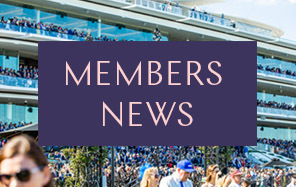 As a VRC Member, you have a responsibility to ensure that your guests introduced into the Members’ Enclosure are dressed appropriately, in line with the required dress standard. View Victoria Racing Club Members' Enclosure Style Guide for complete dress code. Once on sale, tickets can be purchased above. *Concession is available to Australian Pensioner Concession Card holders, Full-time Student Card holders, Healthcare Card holders, Disability Concession and DVA Gold Card holders.